Big truck, small lady, mixture of disaster. My truck is a lifted truck. It has a two inch lift. I am petite, so when it is a challenge for me to get into my truck. I drive it daily to and from work as well as on little trips. I spend on average like $100 on gas a week. It is a gas guzzler and I do hate that. But that is probably because it has 8 cylinders. So far it seems to be really reliable. I bought the truck from the a dealer back in may as used. Just once the water pump gave out but that was an easy fix for my uncle. Does not get spectacular fuel mileage. 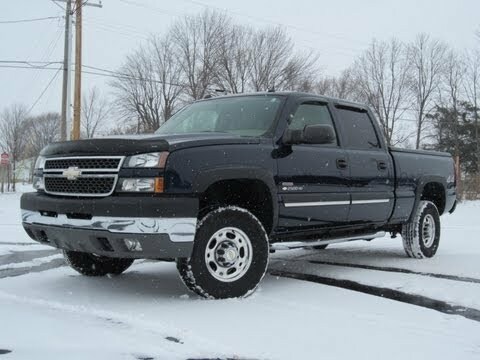 2005 Chevy 2500HD LT 4x4 51K MILES DURAMAX DIESEL! SOLD!! !